18 December 2017, SKA Global Headquarters, Jodrell Bank, UK – It is an understatement to say that designing and building a world-class scientific instrument comes with its challenges. 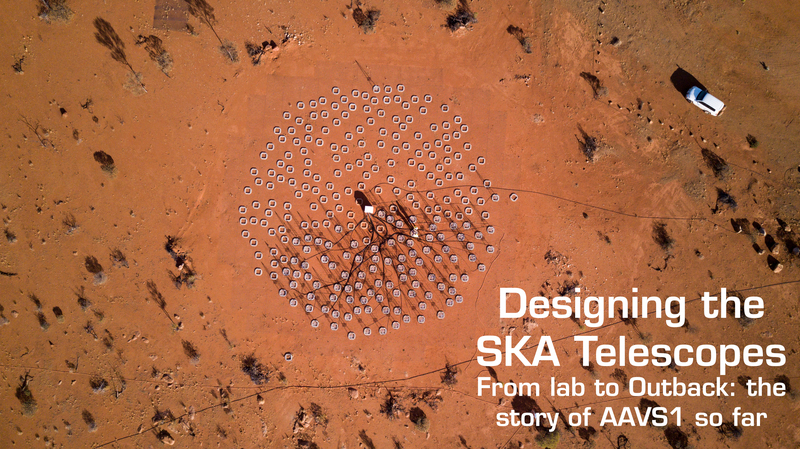 The Aperture Array Verification System (AAVS1) is one of the major milestones in the journey towards delivering the final design for SKA1-low, the Australian arm of the first phase of the SKA telescope, that will eventually consist of 130,000 antennas observing low frequency signals emanating from the cosmos. 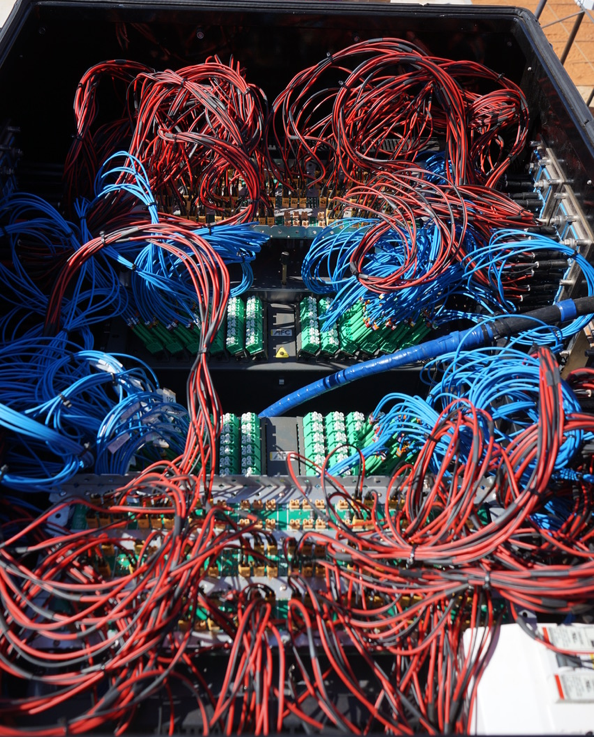 The team delivering this project recently reported on the successful roll-out of a station made up of 256 antenna prototypes at the Murchison Radio-astronomy Observatory (MRO), located in Western Australia. Overcoming several technical and logistics issues, the AAVS1 team completed the main station of AAVS1 during their most recent site trip in early November. Previous site trips in August and March showed the dedication of the team. The AAVS1 project is a key deliverable for the Low Frequency Aperture Array (LFAA) consortium, bringing together a team of experts from Australia, the United Kingdom, Malta, the Netherlands and Italy. LFAA, led by ASTRON, is one of 12 consortia in charge of designing the various elements for the SKA telescope. The AAVS1 test platform is located at the Murchison Radio-astronomy Observatory (MRO), 800 km north-east of Perth, Western Australia, is home not only to the future SKA1-low telescope but also to the precursor facilities, the Australian SKA Pathfinder (ASKAP) telescope—a 36-dish instrument— and the Murchison Widefield Array (MWA) —comprising 2,048 dipole antennas. The MRO is owned and operated by CSIRO, Australia’s national science agency, which also designed and operates ASKAP. CSIRO’s engineers, responsible for ASKAP operations, have also supported the LFAA team through deployment according to ICRAR’s David Emrich. “CSIRO people are always willing to lend support, tools and in-kind assistance and the engineers, along with the site support staff, have established a really collaborative culture. It makes a difference in this harsh and extremely remote location,” he said. Both of these telescopes have been instrumental in testing and further developing the technologies for the SKA however, the low-frequency MWA telescope provided test and development precedents for AAVS1. Online since mid-2013, MWA receives signals from the early Universe within the bandwidth of 80 to 300 MHz. Through its years of operations and refining of techniques, the MWA has pioneered methods for AAVS1, such as adjusting for the distorting effects of the ionosphere above the Murchison, and also refining the method to reduce the noise inherent in the system. ICRAR also planned the deployment of the LFAA which at the start of pre-construction in 2013 was considered the critical risk to realising SKA1-low. AAVS1 has been informed by the development of the LFAA deployment plan. Inside an AAVS1 receiver which collects the signals from the 256 antennas on the station before sending them on to the MRO control building. Credit: ICRAR. However, deploying the AAVS1 prototype has been one of several challenges faced by the LFAA consortium team. Drawing from a decade of engineering work worldwide in low-frequency radio astronomy, the team has learnt from MWA, LOFAR and others operating in the same radio frequency regime and has developed improved antenna designs for SKA1-low. These designs, known as the SKALA prototype design, are a log periodic design with various different rung lengths which enable sensitivity to a wide range of frequencies —which operate from 50 to 650 MHz. The continuous evolution of the SKALA prototype has led to the proposed SKALA4 design, an evolution of SKALA2 which has been deployed on site as part of the AAVS1 project. An international panel of experts tasked with evaluating multiple performance and design metrics of various proposed antenna designs, considers the SKALA4 antenna to be the best option for the LFAA Critical Design Review (CDR) in July 2018. A comprehensive report on this design will be presented for the Review in July. 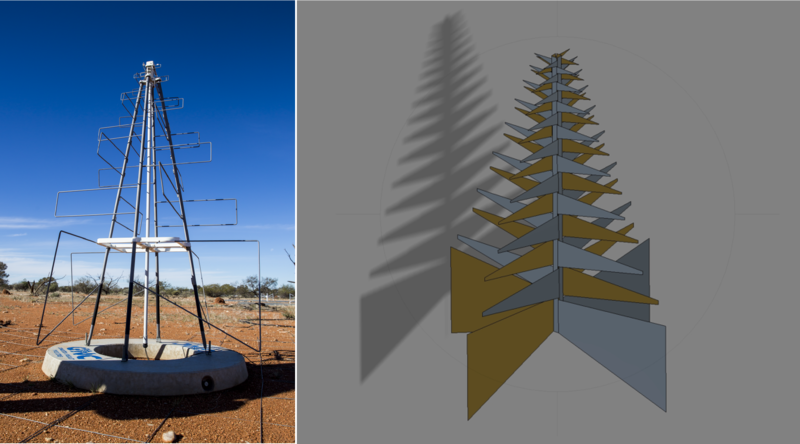 An AAVS1 antenna in the field at the Murchison Radio-astronomy Observatory alongside a schematic showing the design for Low Frequency Aperture Array antennas. The AAVS1 journey itself has been documented and you can watch the teaser video below, courtesy of ICRAR-Curtin University. AAVS1 The Story So Far from ICRAR on Vimeo. The “Low-Frequency Aperture Array” (LFAA) element is the set of antennas, on-board amplifiers and local processing required for the Aperture Array telescope of the SKA. The LFAA consortium is led by the Netherlands Institute for Radio Astronomy (ASTRON) and includes the International Centre for Radio Astronomy Research (ICRAR), Australia; the Key Lab of Aperture Array and Space Application (KLAASA), China; the National Institute for Astrophysics (INAF), Italy; the University of Malta; the Joint Institute for VLBI in Europe (JIVE), the Netherlands; the University of Cambridge, UK; the University of Manchester, UK; the University of Oxford, UK; the Science and Technology Facilities Council (STFC), UK; Observatoire de la Cote d’Azur, France; and Station de Radioastronomie de Nançay, France. The Square Kilometre Array (SKA) project is an international effort to build the world’s largest radio telescope, led by SKA Organisation based at the Jodrell Bank Observatory near Manchester. The SKA will conduct transformational science to improve our understanding of the Universe and the laws of fundamental physics, monitoring the sky in unprecedented detail and mapping it hundreds of times faster than any current facility. The SKA is not a single telescope, but a collection of telescopes or instruments, called an array, to be spread over long distances. The SKA is to be constructed in two phases: Phase 1 (called SKA1) in South Africa and Australia; Phase 2 (called SKA2) expanding into other African countries, with the component in Australia also being expanded. Already supported by 10 member countries – Australia, Canada, China, India, Italy, New Zealand, South Africa, Sweden, the Netherlands and the United Kingdom – SKA Organisation has brought together some of the world’s finest scientists, engineers and policy makers and more than 100 companies and research institutions across 20 countries in the design and development of the telescope. Construction of the SKA is set to start in 2018, with early science observations in 2020.